We are one of the leading manufacturer & exporter of Plastic Profiles. 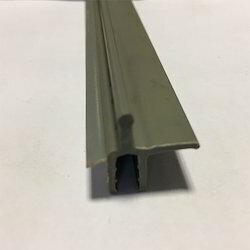 Our other product range includes Extruded PVC Profiles, Polycarbonate Profiles and many more. Color White, Ashy, Brown, Wooden laminated, etc. We are among the glorious names of the market, which bring forth an extended collection of Plastic Profiles. Supreme quality plastic, procured from our dependable vendors is used for manufacturing these profiles. Plastic profiles are checked for their perfection before the final send off.